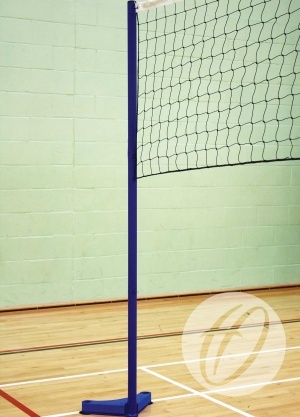 Floor fixed volleyball posts designed for club level use. Available with 50mm and 38mm uprights. 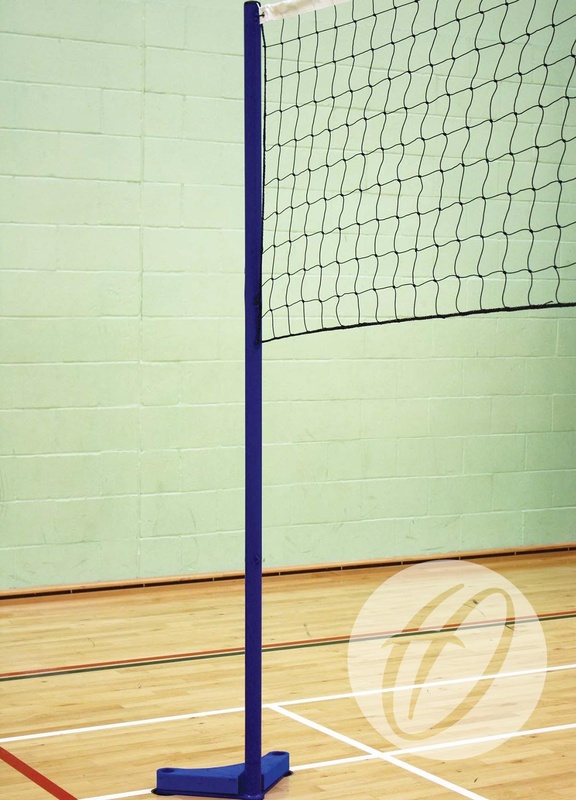 Uprights are attached to the base with a spring clip and can be easily detached for storage. Low profile curved floor fixed base. 2 floor sockets required per base.